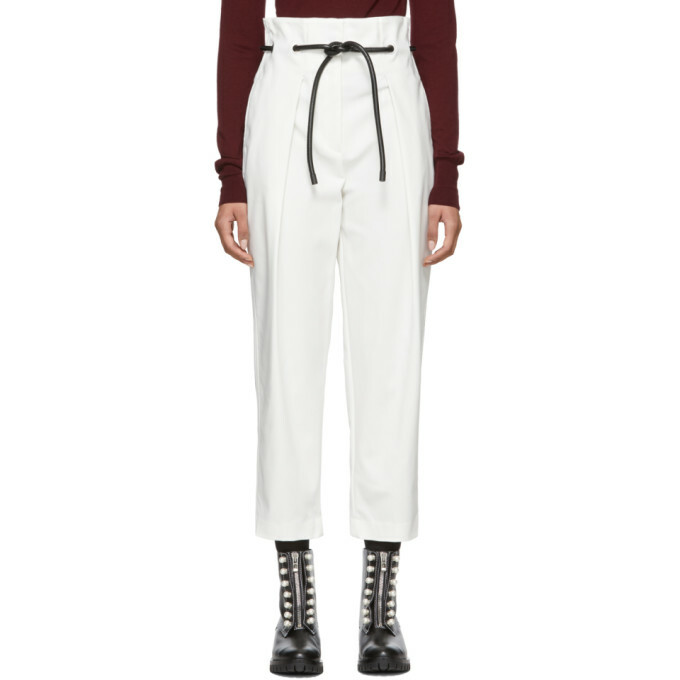 Relaxed fit stretch cotton trousers in white. High rise. Cropped leg. Three pocket styling. Detachable and adjustable faux leather self tie fastening in black and eyelet vents at waistband. Buttoned cinch tabs at inner waist. Pleats at front. Zip fly. Silver tone hardware. Tonal stitching.